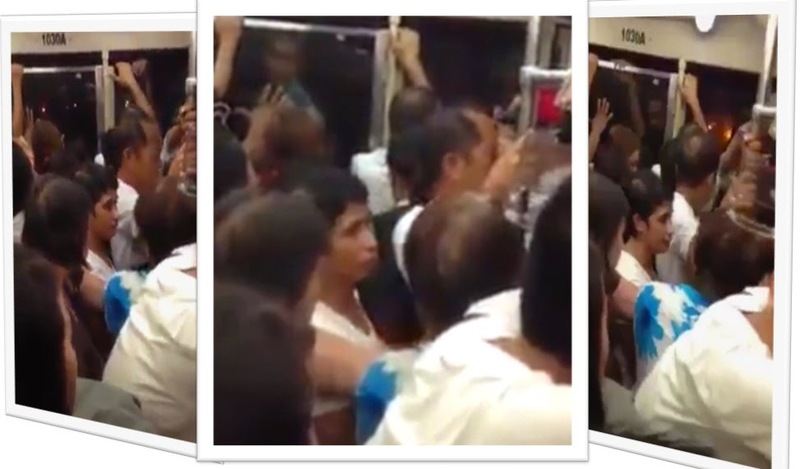 MANILA, Philippines - A video of irritated old woman inside LRT train went viral on social media recently. Netizens have relate the incident as another 'Amalayer' with the berserk woman berates other passengers. The video which lasted for 2 minutes and 31 seconds was uploaded on Facebook by Ayos Dito Dre community last Wednesday, October 8. As of press time, it already garnered more than 1,600 shares and has received tons of comments. The unidentified woman which talked with a very loud voice said she was violated by a couple (incident not shown in the video). "Nagtatapang-tapangan silang mag-asawa. Kung yurak-yurakan ako kanina, ganun-ganun nalang. Umangal lang ako," she said angrily. Other passengers have tried to calm her but to no avail. They even requested the security guard to take her out of the train. She has insisted her rights claiming she's just protecting her bag and got inside the train ahead of the others. The woman also became the subject of bullying inside the train as she continued to utter some harsh words. What can you say about this scandalous incident?